The Odor Destroyer is uniquely designed to maximize the performance of odor destruction. 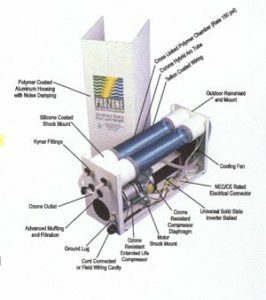 Built inside the main drive of the system is a special Space age Ozone Generating System to activ ate oxygen and transpose it into a blue gaseous allotrope of oxygen. This is accomplished by passing specially prepared oxygen through a VUV Ozone Generator; the Ozone is then injected into the Lift Station. Its mission is to breakdown gaseous contaminants into their basic compounds to eliminate undesirable odors. 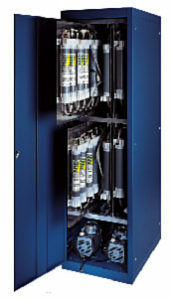 The unit is specifically built to control the output in relationship to the odor levels. Pure patented V.U.V. ozone to eliminate obnoxious hydrogen sulfide odors. Continuous low dosage with no harmful by products such as corrosive nitric acid or other contaminates. No expensive or complicated equipment with short life and costly repairs. Special Space age patented ozone generating system, developed to safely Maximize performance. Needs no chemicals or biological agents. Needs no outside ion units. Needs no outside water hookups. Needs no excessive amount of ground space. Needs no frequent monitoring, servicing or frequently scheduled maintenance. Does process stable long life pure non corrosive ozone to maximize the effectiveness of Oxidation. Does use a precisely measured amount of ozone to immediately destroy odor. Does have a negligible impact on materials within the Lift Station. Does not continue oxidizing to the detriment of the fixture. Additionally most Ozone will be consumed in interactions with the off-gassing from the sewage. Does prevent bio build-up and greatly reduces labor for lift station maintenance. Does not require excessive space, energy or cost to operate. Ozone’s super-passivated oxidized surface has a higher resistance to corrosion. 1. Irradiating the air with ultraviolet light at 185 nm . 2. High voltage electrical field (Corona Discharge). The difference in the manner in which ozone is created is important to understand. The ultraviolet method of generation only produces pure ozone while the corona discharge ozone generation process creates ozone, nitrous oxides, and nitric acid. Nitrogen oxide compounds form nitric acid, which is extremely corrosive. The amount of energy in the ultraviolet ozone generating lamps is enough to create ozone, but too low to create nitrous compounds. 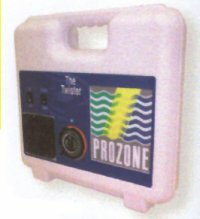 Ultraviolet ozone generators produce only pure ozone. 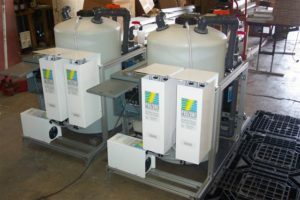 Corona discharge units which use oxygen concentrators still produce nitrous oxides. Ozone concentrations in a lift station environment are expected to have a negligible impact on materials. Doors and Other Bulk Metal Type Fixtures: No impact expected. Aside from the fact that environmental factors will have a much more severe impact-ozone will interact as listed above. If any oxidation occurs, it will self-limit. Ozone will not continue oxidizing to the detriment of the fixture. Additionally, most ozone will be consumed in interactions with the off-gassing from the sewage.